One of the great joys of running a netlabel is that one is constantly meeting new artists and experiencing new music. So we were very happy to meet New Zealand based artist Simon Farrow and experience his brand of deep ambient music. 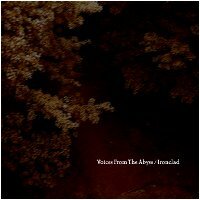 The result is this beautiful, if a little bit disturbing, release called Ironclad, released under Simon's new Voices From The Abyss project. To say that his music is visual is to understate the case. Put simply, this is the kind of music that demands to be listened to with headphones in a darkened room, if only so that one can experience all of the images that this beautiful music will encode upon one's visual cortex. To be blunt, we are dumbfounded that this is Simon's first public release, and are very happy that he chose our humble netlabel on which to release it. The music is mostly dark ambient, but with just enough tonality that there will be something here for everyone. It is a longform ambient piece, a single track that extends very nearly a full hour, so be sure you have plenty of listening time set aside before you undertake this lovely release. We certainly are proud to bring the music of Voices From The Abyss to our listeners, and look forward to much more from this artist in the future. A special word of gratitude to Simon for allowing us to use his album to back-fill a numbering hole in our catalog. As one will note, this is released as earman005, which serves to replace a previously scheduled album that simply never came to fruition. Thanks Simon, for the flexibility. It's an hour worth living listening to this great dark uncertainity. And it's kinda long f. 4 years late comment.